Back in May I attended the Knitter’s Frolic wool show here in Toronto with two other friends. 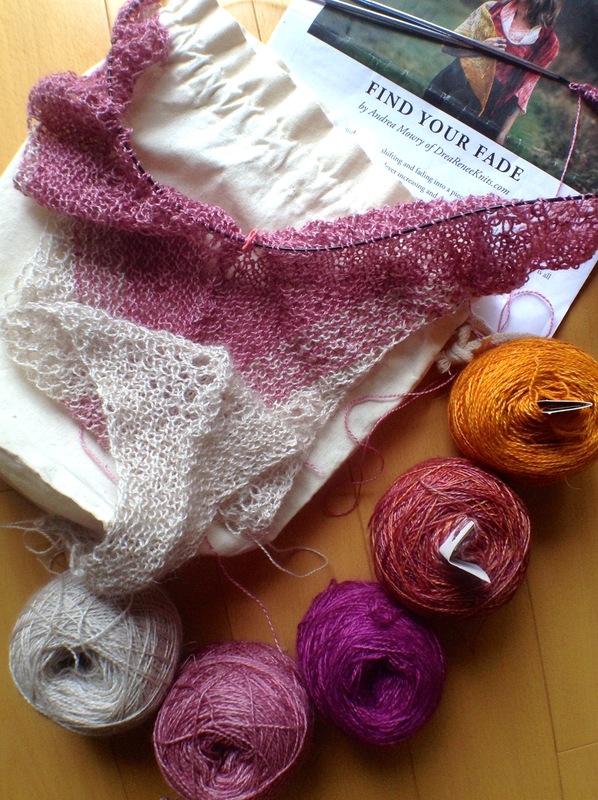 The three of us fell in love with the Find Your Fade shawl/wrap that was all over the fair and bought a kit each for a knit along. 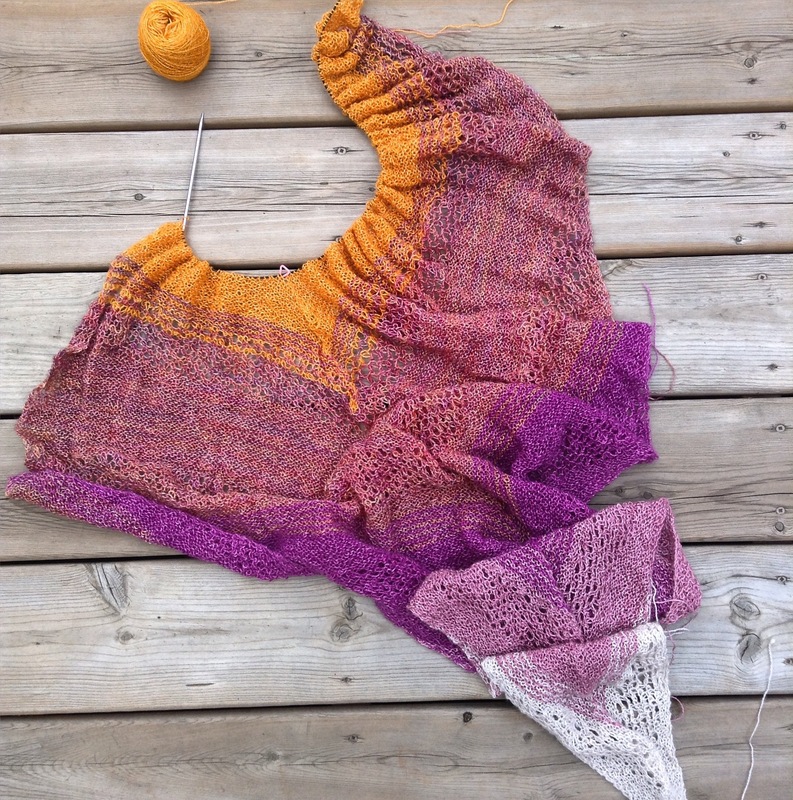 It’s a massive shawl and it is taking its time, but I’m almost there. 28 rows to go and blocking. Good thing we’re having a late Summer spree as I might have it ready just in time for the cooling weather!